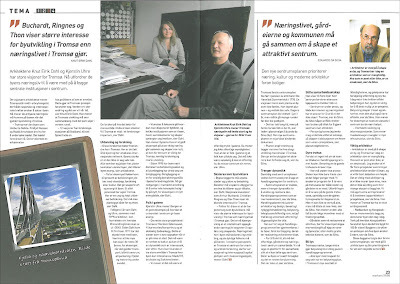 Interwiew with Knut Eirik Dahl and Kjerstin Uhre by Ingerid Helsing Almaas. "Through the past 10 years, Knut Eirik Dahl and Kjerstin Uhre have made a singular contribution to architecture. 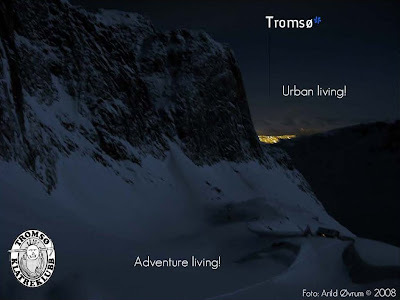 Not only through their innovative building projects, but also in the spaces they have construdted for the discourse surrounding urban development and culture in their home city of Tromsø. 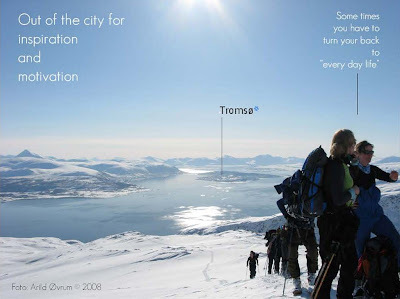 Tromsø has become the testbed of their search for and engagement of other sources of knowledge than those conventionally involved in urban planning. 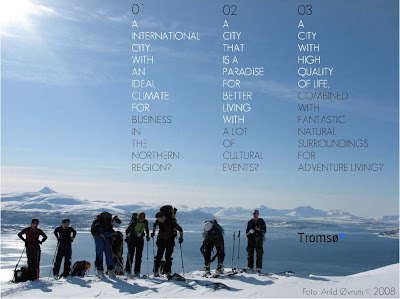 And the politicians are responding: In 1995 they approved the experimental Game of Tromsø - excavations in the city of the future, and in 2005 the city council voted to halt all ongoing planning activities and call a one-year time-out to reassess the direction of the local development." 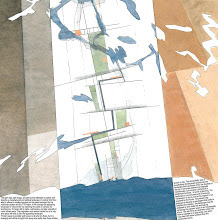 The Front Page features Anders Wilhelmson's proposal on how to present the ”Arctic Cities” theme at the 10th Architectural Biennale in Venice. 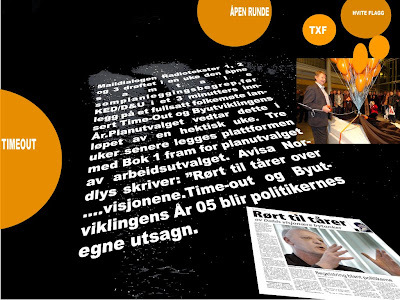 Fra venstre smiler Gisle Løkken (70°N), Berit Stenstrup (70°N), Knut Eirik Dahl (D&U), Kjerstin Uhre (D&U), Tandi Reason Dahl (D&U), Magdalena Haggärde (70°N), Joar lillerust (70°N), Markus Holding (Atkins Global, Malmö) og Thomas Barfoed Brandrup (Skov og Land, København) foran hovedbanegården i København. Foto DN: Hanne Hvattum. 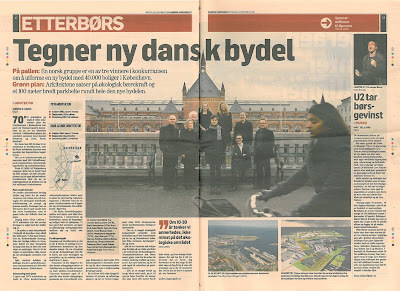 Vi, Dahl & Uhre + 70°N, med ekspertgjester, Markus Holding (Atkins Global, Malmö) og Thomas Barfoed Brandrup (Skov og Land, København), har vunnet 1. pris i den internasjonale idekonkurransen om Københavns nye byutviklingsprosjekt - Nordhavnen. Prisen ble overrakt av Ritt Bjerregaard og Klaus Bondam i Pakhus 53 i Nordhavnen i dag. "Det er dommerkomiteens vurdering, at prosjektet gennem sine strategier fremkommer med et egentlig nyt billede på en strukturplan og deraf følgende ny horisont for byudvikling". We are happy to be prequalified in the competition for the new Deichmanske main library in Bjørvika, Oslo. 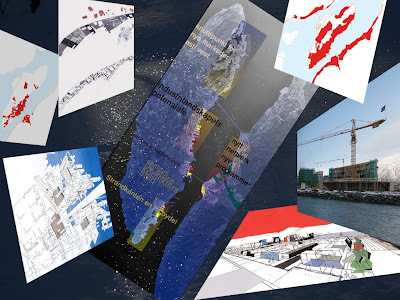 With us we have an excellent team: landscape architect Ellen Braae, artist Åsa Sonjasdotter, Barlindhaug Consult engineers and 70°N arkitektur..! "Markant" for september har dedikert sine temasider til "å sette en ny standard for Tromsø". Journalist Camilla Solheim kom og samtalte med oss om dette en dag på sensommeren. Temasidene inneholder også intervju med Eduardo da Silva, Erling Dokk Holm, Fremtidsfabrikken og Gøril Lilleng.
" Det er allerede en erkjennelse hos politikerne at isen er smeltet. Dette gjør at Tromsøs possisjon forandrer seg. Verden er i stor endring og det skjer vi i vår tid." "Siden 1995 har byen vært dominert av befolkningsvekst og all planlegging har dreid seg om boligbygging. Boligbygging er en for ensidig betraktningsmåte i byens forandringsbilde. Nå gir nedgangen i markedet anledning til å tenke hele konseptet bolig i by på nytt, for eksempel i et nytt energibilde, sier Dahl"
"Næringslivet her i byen må skoleres og de dyktige folkene må på banen. I et større perspektiv er Tromsø et senter for marin og arktisk forskning, derfor ser nasjonal og internasjonal kapital på byen som et investeringsobjekt." Terminalen på Prostneset er et stort skritt nærmere realisering. Vi gleder oss! What happens when the whole world suddenly looks towards the north due to oil resources and climate change? What happens when a small city realizes it is developing and expanding too fast only to build too many lousy housing projects? The answer: the city indulges itself with a timeout from city planning. 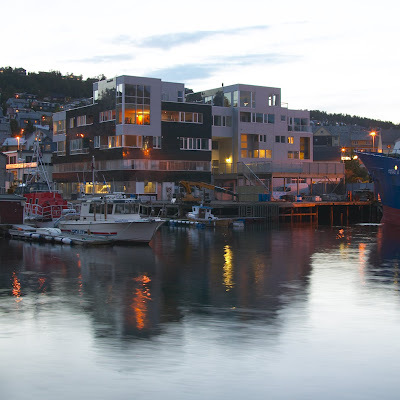 Tromsø City Council declared 2005 the Year of Urban Development. Now the city might be holding the key to modern democracy. A web-site for Mosaïc::Region is now up and running! 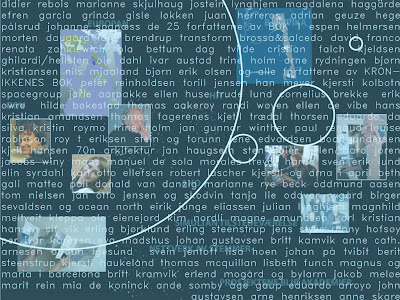 At http://www.mosaic-region.com/ you can click your way through the mosaïc; poster by poster and text by text, and you'll find our complete prize-winning proposition for the competition Øresundsvisioner 2040. The site is under construction and will soon develop further with new material, guest comments, news etc. The main rule of the game entailed selecting places and endow them with new meaning. Accepted views about a number of urban spaces were turned upside-down in an extensive dialogue between the various forces at work in the urban field. 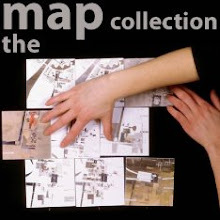 The explorations served to challenge existing views on landscapes, forms of development, complexity, the programme of the city and the emerging urban geography. 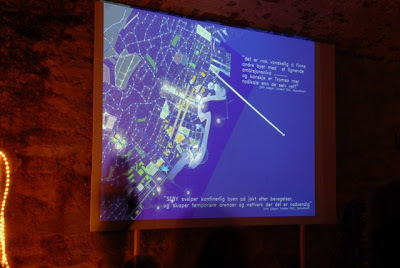 The Game gave access to and visualised daring excavations in the city of the future by means of exhibitions and texts produced during two highly intensive years. Inward growth became the city’s main strategy, a new model of understanding was established. 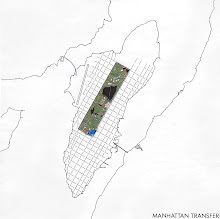 In 2005 an open and dramatically staged popular meeting proposed time-out as a response to the plan for Tromsø city centre forwarded by the Planning Office. Tromsø City Council shortly thereafter supported such a time-out and proclaimed the Year of Urban Development as a form of comprehensive public debate headed by a think-tank from the competency milieus outside the established planning administration – an alternative source of knowledge.This constituted an open break with convention that was aimed at re-establishing a creative and independent critical position. 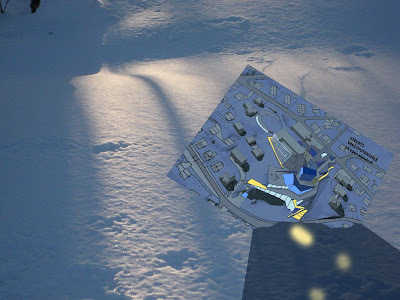 City architecture and public space were put on the agenda: the role of the city centre in a new strategy for the circumpolar North was stressed and the thesis was proposed that City Hall is a possible leading force in the city’s development – again. The Europan Norway catalogue is now available, edited by Øystein Rø and Espen Røyseland at 0047. Buy it here and learn all about the awarded projects at norwegian sites, prize winning norwegian projects in Switzerland and the Czech Republic, and read texts by Sabine Müller, Knut Eirik Dahl, Erlend Seilskjær, Hilde Bøkestad, Espen Røyseland, Øystein Rø, Trude Lund, Maximilian Martinenghi, Kristine Jensen and others. In his presentation at the same arrangement, the leader of the Committee for Urban Development in Oslo, Ola Elvestuen, confirmed the possible importance of Europan in the future development of Oslo. It is a fact that the continued support of the Norwegian State Housing Bank, centrally as well as regionally, from Europan 7 onwards, has been decisive in the establishment of Europan. 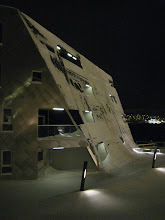 In many ways The Norwegian State Housing Bank has considered Europan ”their own” laboratory for urban research. It is important for the continued life of Europan, as an opening for young experimental architects, that the national support is carried on. ”By implication, architects are crucial when we get down to the practical task of improving the sustainability of cities. That is why it is so important that all young architects seek to acquire knowledge on the subject of sustainability and what is required in their field of work. Experiences need to be shared and know-how about novel solutions spread if we are to make headway and secure further progress. The activity of Europan contributes to the impartation of such vital knowledge”. 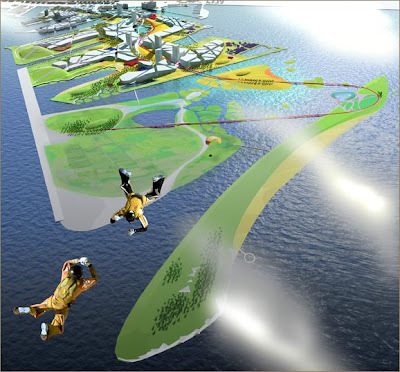 The theme of Europan 9 was “Sustainable cities and new urban spaces” – and many of the projects have aimed to address this line of questioning. Moreover, it is plausible that ECO-Box, Europan’s advisor in E9, as in future projects, considers many of these entries more as preparatory exercises for learning to understand, than as projects and ideas that automatically will lead to significant changes. 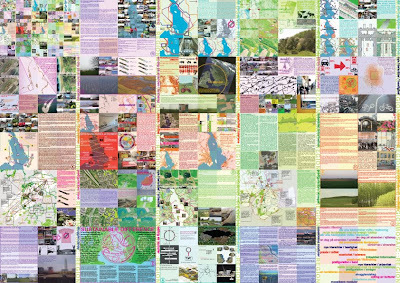 We must nevertheless consider the entries of Europan 9 as contributions to an interesting future cartography on aspects of a sustainable community. 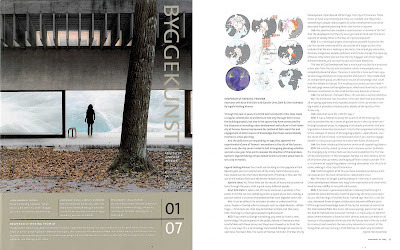 Several of the texts accompanying the projects in this Europan catalogue are optimistically displaying and investigating a new terminology in their quest for a new understanding. There can be no doubt that a new, sometimes domineering explorative field will delineate itself also in Europan 10. 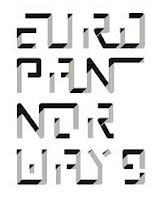 The international fora Europan has arranged across Europe bring together planners, politicians, developers and architects from the various European cities. Nationally, Europan Norway has set up several fora to create a mutual dialogue between the participating cities in the process. Oslo School of Architecture and Design (AHO) has created a new arena for Europan by arranging lectures and a series of debates where the Europan winners in Norway are presented and debated at afternoon seminars. A new element of the year was that one of the school’s theoreticians, Christian Hermansen, was invited to comment on the projects. The latter model should be applied by Europan to create a team of critics and experts on the Europan concept. Present at the seminars were also representatives from the participating cities who thus are offered an opportunity to experience discussions on architecture and urbanism from different angles. 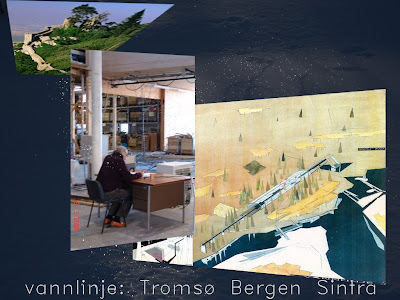 In April I attended the Lillestrøm arrangement where two young architects (Mateo/Martinenghi, Spain/Italy) presented their project with Pollock, Bosch and the nomad crossing the desert as “backdrop” for their ideas. They also showed three of their former Europan entries and opened up for a whole auditorium of students to gaze into Europan’s continuous laboratory of experiments. 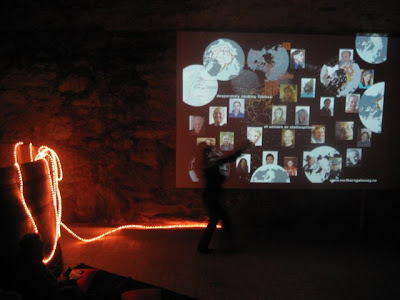 In a phase of the discussion around the project one of the Spanish winners claimed that: “all good teachers are dead!” A claim that, if nothing else, can be seen as an assertion that nowadays we all have to think anew. After the seminar the winners left with Europan for a two-day workshop at Lillestrøm, before returning to Madrid with promise of their first assignment in Norway. 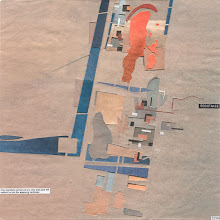 A corresponding process started at AHO the following day upon which the German Winner (Müller, Flores and Izquierdo) returned to Berlin with a commission for a master plan of the Grorud area. Europan’s main project is to open doors for young architects wanting to straddle borders. In this catalogue we present Norwegian winners in Sion in Switzerland (Grønn/Lyngner/Brynhildsvoll) and the Norwegian based winners in Prague (Prins/Müller). The Norwegian winner of Europan 8 in Vienna (Mujezinovic) recently reported that he has been asked to continue work on his project. 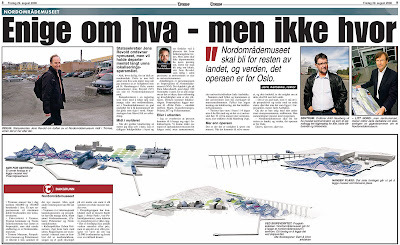 Europan Norway is very pleased with such Norwegian “exports”. 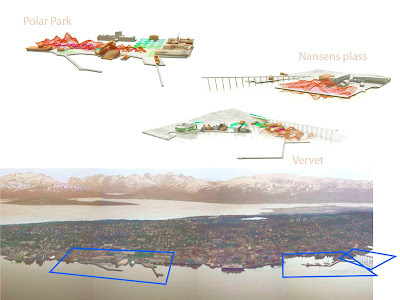 At the same time former Europan winners are active in Norway. 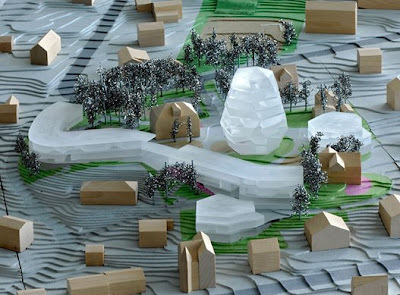 The winners of Europan 7 at Økern in Oslo, have developed this project further in collaboration with EBY and the municipality of Oslo. The victory in this competition facilitated the participation of the winning team in the competition of the center of Økern, which they won (Ghilardi/Hellsten with Spacegroup). 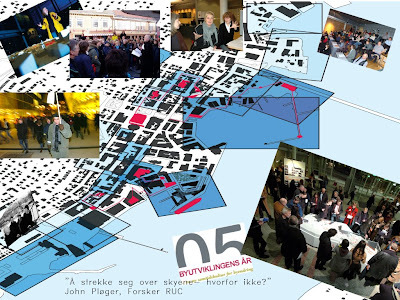 The winners in Åsane in Europan 8, Lars Brendrup and Transform, were invited to the competition of the river area in the city centre of Porsgrunn and won first prize here, with a larger team. There are thus several good stories in the Europan narrative. The Europan winners and the participating cities take time to develop their ideas, thus the projects change content, form and direction along the way. For this there are many reasons; one is that the areas of study are relatively large and involve several time consuming processes. Another reason may be the lack of precision in the programmes; a third is that there may be a gap between project and expectations. A lesson for Europan is that in Europan 10 we should make agreements with municipalities and developers about what can be realized relatively fast, so as to find “what can become real” along shorter timelines. I find that some kind of faster visibility must be achieved for the sites following longer lines of development, so that “Europan was here” can be read as a real project. It is therefore very uplifting to hear that the Spanish winners of Europan 9 in Trondheim (Murado, Elvira, Krahe and more) are about to sign the contract to design their student-housing concept at Elgesæther. They have entered into collaboration with Pir II, which includes Spanish-speaking architects, and the regulation process has already been announced! In the end of May at Santiago de Compostella Europan’s “Forum of Results” will meet. This arrangement gathers winners, representatives from the cities involved and experts. 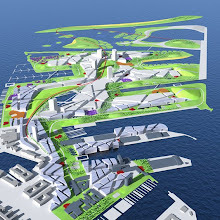 The realization of the winning project in Europan 8 at Hamar (Salcedo/Brossa, Spain) is one of the examples to be discussed. The Mayor of Hamar, Einar Busterud, leading a sizeable delegation will attend this event. In other words, realization is a challenging field for the cities, the winners and Europan itself, and now there is cause for more optimism. Europan’s leadership is being renewed. 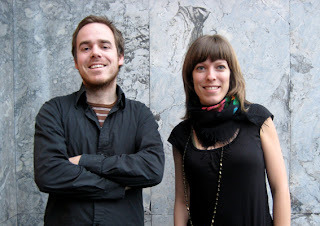 The two new secretaries of Europan are Øystein Rø (29) and Espen Røyseland (30) from the project space 0047. 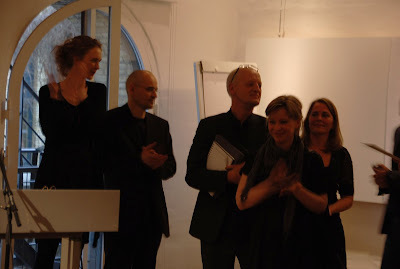 As students in Berlin in 2004 they started the gallery 0047, a place which became important for the dialogue between Norwegian and German art and architecture. 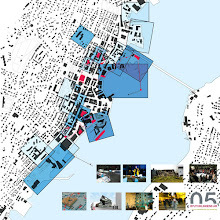 0047 are now located in generous industrial quarters at Grønland, in Oslo. 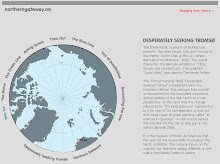 Rø and Røyseland focus on developing research projects, including an ongoing border crossing project between Russia and Norway. 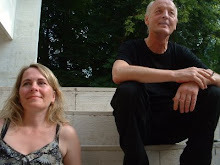 The catalogue for Europan 9 has been produced by these two and they will be driving forces behind the development of Europan 10. During my years in Europan with Cornelius Brekke we had the great pleasure to enter into each other’s texts to renew Europan as a concept. This small introductory text has Cornelius in mind. I met Gøril and Gjermund at havpadleklubbens boathouse yesterday and joined them for a trip half way around the Tromsø iceland. Passing Strandkanten, I took some snapshots at K7 - our project under construction. Arild Øvrum, the leader of Tromsø Klatreklub has sent us a visual short story performed at Pecha Kucha Night, Tromsø#2. It is stunning to get a glimpse at the city from the "skyskrapers" surrounding the iceland. "En liten bilde reise som viser hva Tromsø er for meg. Tromsø er for meg en fantastisk by hvor man kan leve det urbane livet i kombinasjon med et aktivt friluftsliv." 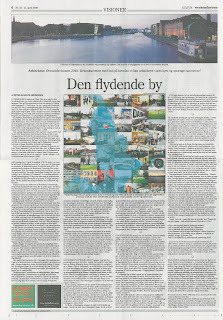 Se also Northerngateway: "Skating in Central Park"
Peter Schultz Jørgensen's article in Weekendavisen nr. 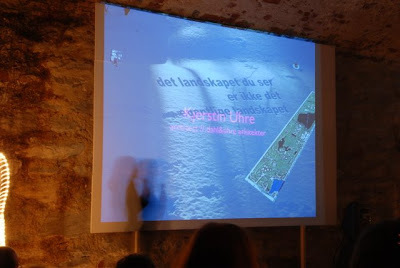 15/2008 discusses the possible impact of the ideacompetition "Øresundsvisjoner 2040" on todays discussion and the future Øresund Region. "Realdania og Dansk Byplanlaboratorium har lagt opp til debatt. Konkurrenceforslagene er et fantastisk godt utgangspunkt. Men hvis debatten skal slå igjennom, skal gryden holdes i kog i lang tid. Initiativtagerne kunne f.eks. få etablert et uafhængigt forum - som Egnsplankontoret var det engang. Nogen skal jo reise debatten imod og på tværs af de stærke etablerede politiske og administrative systemer. De fastgroede fagligheder skal rystes og mange nye fagligheder skal på banen. Nogen skal skal også pege på mulige initiativer der kan fremme urbaniseringen av vores byer - i både stor og lille skala. Forslagene, der lægger stor vægt på på nødvendigheden af de mange små aktioner i byen, inviterer ligefrem Realdania til at bruge flere midler til opfølgning på denne strategi. 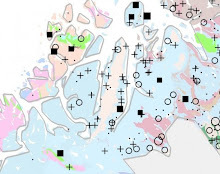 Mange mindre projekter, uden stram styring, kan som brikker i mosaikken, få stor effekt. De kan åbne nogle af de spor, der fører til en urbanisering av vores byer". ("Egnsplanskontoret" som Schultz Jørgensen referer til ble opprettet i 1945 med Steen Eiler Rasmussen som formann). 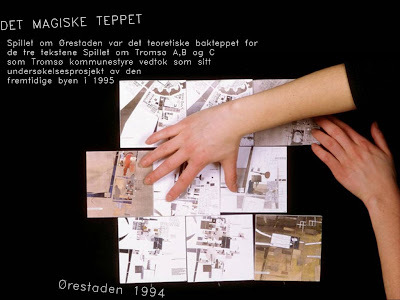 The paper uses ByÅr05 and Mosaïc::Region as cases in showinghow how the open conversation becomes a theoretical platform within our practice as architects and how openness and invitation are used to find new, non-linear ways in and around conventional, hierarchic planning. By following the link over, you can download all papers and abstracts at the conference. 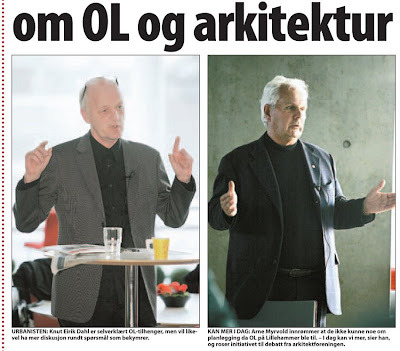 Foto; Klipp fra Nordlys sin artikkel fra debattmøte om OL ledet av Gisle Løkken, Nordnorges Arkitektforening. Byutviklingens År 05 sin plattform var en slags dreiebok for en ny type utfoldelse og tenkning – den skapte troverdige åpninger. Det er disse åpningene, denne innlevelsen og denne opptatthet av ”matters of concern/spørsmål som bekymrer” som synes fraværende i den nåværende rammen rundt 2018-prosjektet. Byen og byens kompetanse sitter nærmest på siden og følger et lineært rullende prosjekt med en viss oppgitthet og skepsis, der kun motstanden mot konseptet i noen grad er tydelig. Jeg var tilstede på det åpne møte der Børge Stensbøl la fram sin ”Modellby Tromsø” – tenkt verdensledende i bærekraftspørsmål. En overbygning, en hinne ble lansert – uten at et eneste spørsmål ble lansert til den relativt oppegående forsamlingen i salen, av typen: ”men - hva mener du”? Iver's latest film explores dimensions. Rundt 50 mennesker hadde møtt opp da NAF (Nord-Norges Arkitektforening) inviterte til debatt om byens OLplanlegging tirsdag kveld. Tilstede var representanter for en rekke av byens ledende arkitektkontorer, planleggingsmiljø, lokalpolitikere og OLmotstandere. I tillegg var idretten i byen representert med styreleder for Tromsø Idrettsråd, Jonny Ternlind. This beautiful installation can be seen in Tromsø at "Kysten". The secret shed "stabburet" is a part of the artwoork. 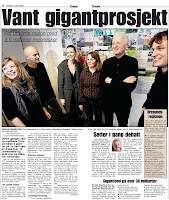 Our project at Storhaugen in Tromsø has allready been debatet in the press for two years. Now the plan process at the municipality has started. Watch "Storhaugen- the road movie". "Byutviklingens år" er under lupen i PLAN nr 5/2007. Sosiolog John Pløger ved Aalborg Universitets Center skriver i sin artikkel; "Kanskje er Tromsø mer radikal enn byen selv aner"
Det er allerede gjort forskning på byutviklingens år. Trine Holm har skrevet sin hovedfagsoppgave "Tromsøs øvelse i åpenhet". 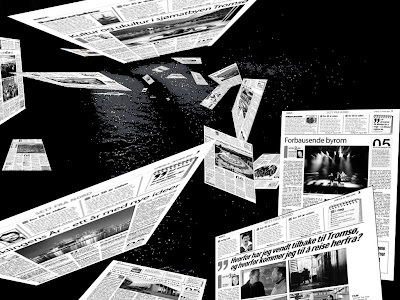 Byutviklingens år har vært på reise til Den 10 arkitekturbiennalen i Venezia, der oppdaget "Herald Tribune" sensasjonen i det at en by tar timeout fra planleggingens lineære hovedstrømmer. Rektor på Arkitekt og Designskolen i Oslo, Karl Otto Ellefsen gratulerer Mosaïc::Team. 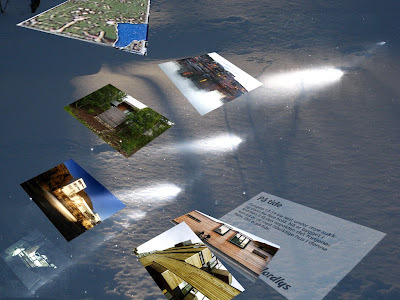 Les: "Får utforme nordisk storregion"
Øresundsvisioner 2040 - the exhibition - with the 15 projects from part 2 of the competition will be shown at Gamle Dok / DAC until May 4. We will also participate in debates taking place at DAC April 16 (open) and 21 (with the region's mayors). A big thank you to the Mosaïc::Team of experts! 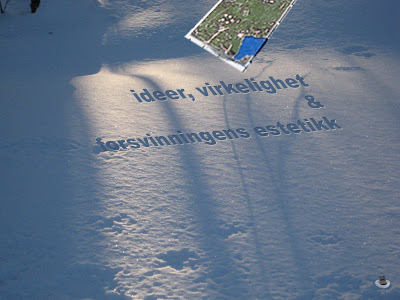 We have been awarded 1st prize in the competition arranged by RealDania about ideas for the future in the Øresund region! The project is a collaboration with 70°N arkitektur, and the concept MOSAÏC::REGION includes inviting a broad panel of guest experts who all did an extraordinary job putting their expertise into the project. Den store oppdagelsen for meg da jeg kom til Tromsø i 1994 var at ting ikke oppstår i et tomrom - " you never walk alone". Knut Eirik Dahl inviterte meg nordover i Blå-Strek epoken for å være med på Ørestadskonkurransen. Her ble jeg etter hvert en del av en ny og utfoldende virksomhet, båret oppe av Knut Eiriks utrettelige dialoger i et univers av støttespillere. Tromsø har sin Central Park. På en tettpakket dag er det mulig å ta en mikrotur dit, klemme inn en liten pause med frisk luft. Utsagnet "det landskapet du ser er ikke det egentlige landskapet", blir satt på spissen gjennom klimaperspektivet og isen som smelter. Kartet "Manhattan Transfer" (1995) er et utsagn om at naturen på Tromsøya er utsatt for så stort press at det er å betrakte som en park. Hvis du planter en skog og lar den vokse i 30 år, vil den til slutt yte motstand mot endring. Landskapet er "beskyttet" mot byens inntreden. 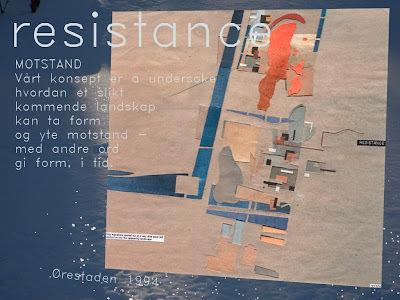 "Resistance" er et kart over Amager etter at skogen har fått vokse i 30 år og setter premisser for byens vekst. 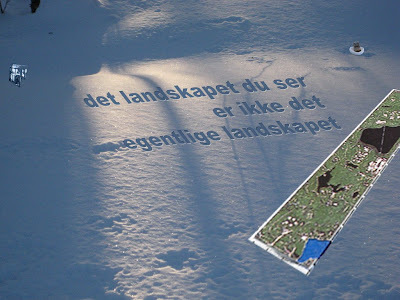 Vårt konsept undersøker hvordan et kommende landskap kan ta form og yte motstand - med andre ord gi form, i tid. Men fremtiden inneholder et uendelig sett av muligheter, "The magic Carpet/Spillet om Ørestaden" fra 1994 undersøker hvordan brudd i utviklingen kan fremkalle helt forskjellige urbaniteter - "the spirit of the place is bound to be found elsewhere". Vi har tegninger som følger oss år etter år, tegninger som er referanser på grunn av forskningen i dem og tegninger som er dyrebare påminnelser om vennskap. Dette prosjektet ble til gjennom telefon og fakssamtaler mellom Knut Eirik og vår venn Jostein Lynghjem. Det å høre på disse samtalene og få være med på disse tegningene var et under. Et perfekt minne. Siden har det levd sitt eget liv og har bragt oss til en landskapsutstilling i Sintra. Prosjektene blir idearkiver med en egen terminologi. Hvert utsagn er en portal til en betraktningsmåte. Erik spør “how did this come into being, and how do one sustain such a network?” Prosjektene har fått en egendynamikk ved at de blir husket, referert til og forsket på. De som har vært med i prosessene har gitt og fått og har del i en base som de bygger videre på. Som kalver fra en komet får prosjektene sin egen tidslinje og nye prosjekter oppstår fra dem. "hvis noen kan vise meg framtiden så vil jeg da virkelig se den". Gjennom metoden ”å utpeke steder og tildele betydninger” ble nye tettheter og strategier for fem spillebrikker – bydeler – utforsket. Det åpnet for alle en helt ny tenkning om byens fremtidige skikkelse. Spillet om Tromsø ble tildelt Bolig og byplanprisen i 2003 for sin åpenhet og ideskaping. I denne dialogen setter vi også enkelte spor i snøen. Postkort fra fremtiden, prosjektene går i dialog med byen. "Konglen og slangen" utfordrer byen med sitt formspråk og sitt forhold til infrastrukturen - heis til bygolvet. 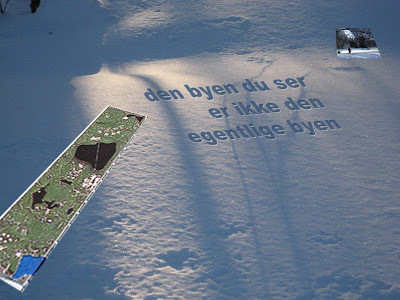 Den byen du ser er ikke den egentlige byen -en by er full av slike postkort fra fremtiden. Rundt på plankontorer og arkitektkontorer ligger en helt annen by enn den du ser. Utenfor de lukkede rommene finnes en enorm kompetanse. I dialogen blir prosjektene akademier. Nye faglige nettverk utfolder seg og uventede møter oppstår. På denne stjernehimmelen av forskere og utøvere av alle fag, blir enkeltkontakter spesielt sterke og følger oss over mange år og gjennom flere prosjekter. Timeout -ingen grenser for menneskers fantasi og innlevelsesevne. Byutviklingens år var politikernes eget utsagn, deres prosjekt - som spillet om Tromsø var det. John Pløger spør seg derfor i sin tekst -"hvet Tromsø egentlig hvor radikal den er?". "å stille ut er og åpne opp". Temporære arenaer og nettverk og Forskning på ByÅr05. Det er allerede gjort forskning på byutviklingens år. Trine Holm har skrevet sin hovedfagsoppgave "Tromsøs øvelse i åpenhet". John Pløger skriver i tidskriftet plan – "Å strekke seg over skyene – hvorfor ikke". Byutviklingens år har vært på reise til Den 10 arkitekturbiennalen i Venezia, der ble en sensasjon i det at en by tar timeout fra planleggingens lineære hovedstrømmer samtaleemnet. Kronikkenes by: Plattformen, dreieboken for Byutviklingens år ble framkalt bl.a. gjennom lesning av de 25 tekstene i "Bok 1". Et univers av støttespillere entret bydiskusjonen. Avisa "Nordlys" åpner sine spalter i 40 uker med 3.side-kronikker hver lørdag, med ked som red. Nordområdemuseet:I kronikkene utfoldet det seg hele verdener og Nordområdemuseet (også kalt Verdensmuseet) vokste ut av diskusjonene rundt kronikken "Byutviklingens år – et år med nye ideer" av kulturpolitikeren Esben Helmersen. Troms fylke, Tromsø kommune og Universitet i Tromsø samarbeider nå om å utrede og realisere ideen, og UD er med på laget. Nordområde-retorikken til regjeringen vil synliggjøres. Northerngateway: I kjølvannet av Veneziabiennalen følte vi et sterkt behov for å lage nettstedet northerngateway. Alle stilte opp og Polarinstituttet lånte oss sitt utsagn ”på tynn is”. Kontoret vårt ble i en periode gjort om til filmstudio. Tromsø ble beskrevet i trykket utenfra med de globale utfordringene og trykket innenfra med byens forventninger og vekstsmerter. 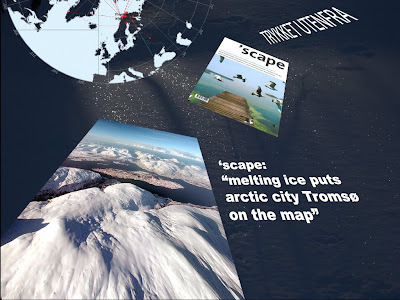 SCAPE: Det nederlandske tidskriftet Scape sitt nr ”Facing the climate change” oppdaget nettstedet og skrev artikkelen "Melting Ice puts Arctic City Tromsø on the map" - et intervju med KED, universitesrektor Jarle Aarbakke og polarinstituttets direktør Jan Gunnar Winther (nettopp tilbake fra forskningsekspedisjon i Antaktis i regi av IPY). Kometene er en serie terminologier og strategier. Hvor sterke er ideene, hvor lenge lever de, hvordan blir de mottatt? Med en "open mind" i nettverkene må vi vite at ideene ikke forsvinner i et tomt rom, men at de kommer tilbake som noe nytt og annet, at ideene ikke forvitrer. Når prosjekter går under, går hele "verdener" under med dem. Neste generasjon er allerede i nettverkenes verden, i Kyoto, i fremtiden. Sandefjord Blad(SB) merket seg Knut Eirik sin referanse til Kronikkens Bok, de 40 ukene med kronikker i avisa Nordlys under Byutviklingens År 05. De merket seg også utsagnene om å etablere et "univers av støttespillere" i en slik åpen og utfoldende debatt om en bys framtid. SB har nå en egen redaksjon for Byutvikling og en rekke artikler har fulgt opp det fullsatte møtet i kommunestyresalen. 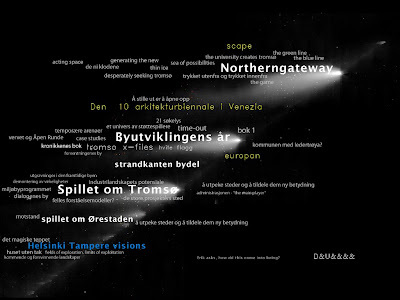 I 2004 mottok Knut Eirik Dahl "Bolig og Byplanprisen" for "Spillet om Tromsø". 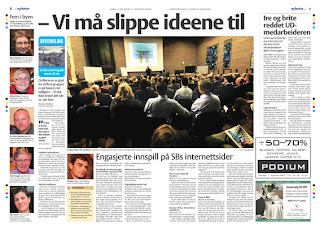 I Juryuttalelsen leser vi blant annet:"Spillet om Tromsø" har inspirert planleggere og investorer langt utover Tromsø. Dahl har lykkes i å introdusere ord og begrep som er nye i det norske miljøet, og har derved bidratt til å øke samfunnets interesse for planlegging, i tråd med formålet for Bolig- og Byplanprisen." Her er et utdrag fra kulturkommiteens begrunnelse: "Gjennom ”Spillet om Tromsø”, Europan, ”Byutviklingens år” og arkitekturbiennalen i Venezia har han inspirert folk, planleggere, myndighetspersoner og investorer - også langt utover Tromsø. På denne måten har han bidratt til å øke samfunnets interesse for byplanlegging og nødvendigheten av gedigen bykompetanse - og ikke minst betydningen av kulturutvikling – det sistnevnte eksemplifisert ved hans engasjement for en kunstutdanning i Tromsø. Hans repertoar i nevnte sammenhenger er omfattende og mangesidige, men som utover det rent faglige, først og fremst dreier seg om ”øvelser i åpenhet” og tilbud om ”mulighet for ny tenkning”. Det anbefales i denne sammenheng å oppsøke nettstedet ”Northerngateway.no” – der treffes også framtidsarkeologen Knut Erik Dahl." 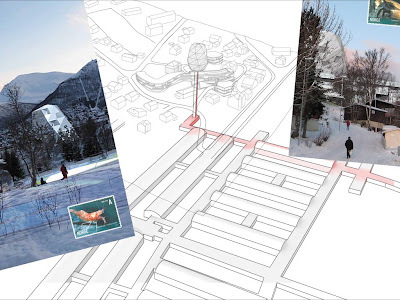 We congratulate Eli Grønn, Ivar Lyngner (authors) and Eli Brynhildsvoll (assistant) with their winning project in Europan 9 in Sion, Switzerland. Thinking of the Swiss architectural scene at the moment, this must be the right place to win for young architects. 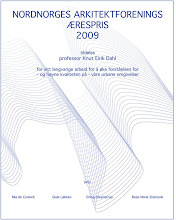 ETH and Actar has in 2007 given out "Architectural Papers III, Natural Metaphor - An Antholgy of Essays on Architecture and Nature", edited by the Chair Prof.Dr. Josip Lluis Matteo. 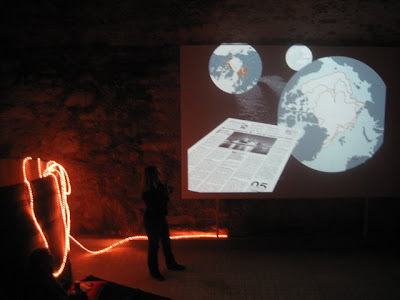 Here you will find an interesting conversation between Stan Allen and Florian Sauther, "Theory, Practice and Landscape" and a brilliant text by Inaki Abalos (first presented in El Pais, 10. of March 2007) titled "I would prefer not to", challenging the use of the notion "Sustainability". Madrid based Abalos is the partner of Juan Herreros who was leader of the Norwegian Jury for Europan 8. So, Eli, Ivar and Eli can look forward to an interesting discourse on architecture and landscape.